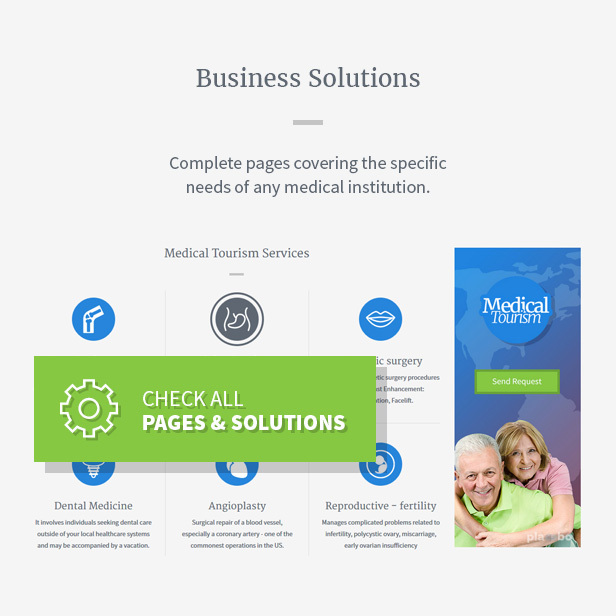 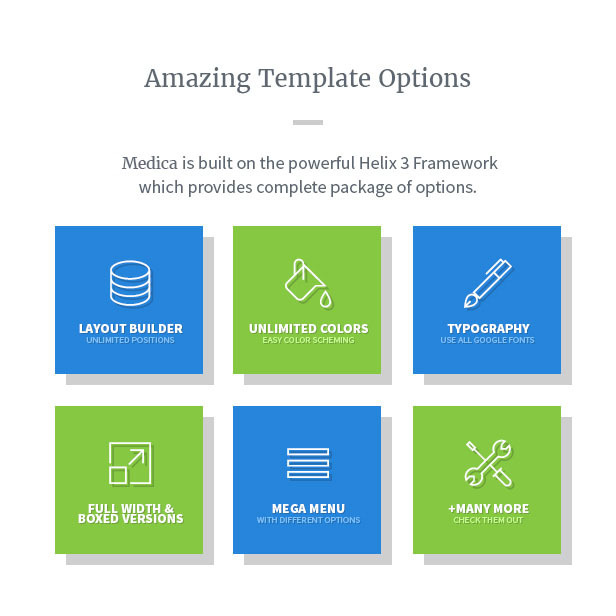 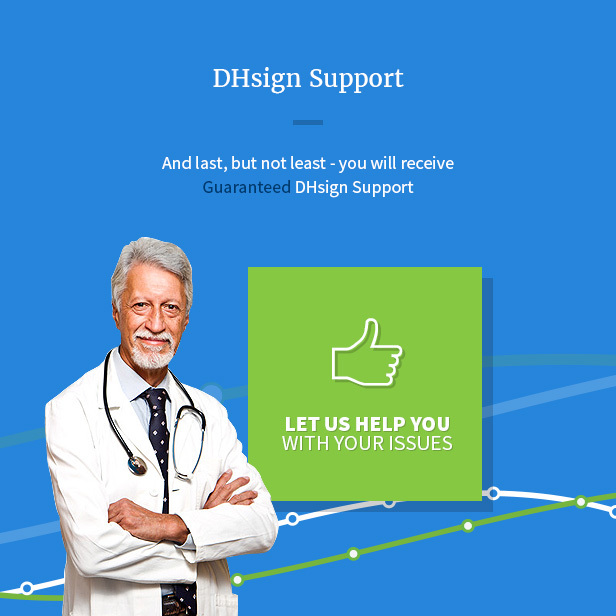 Medica 2 is a complete healthcare solution for any type of business in the medical field. 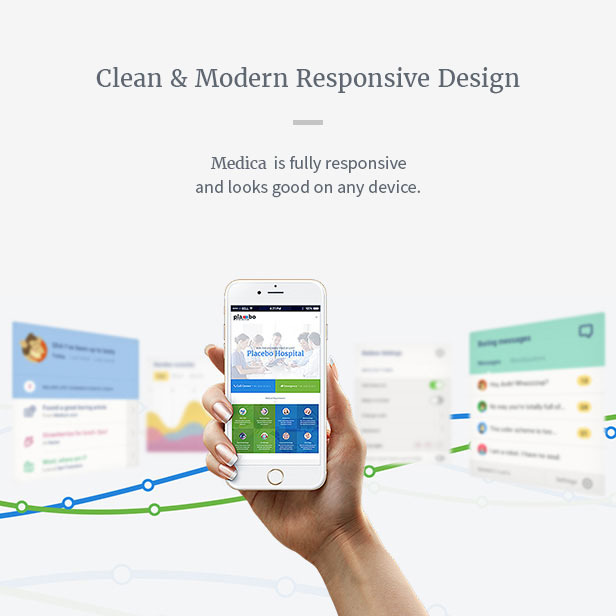 Medica offers a remarkable combination of design, marketing, technology and business solutions. 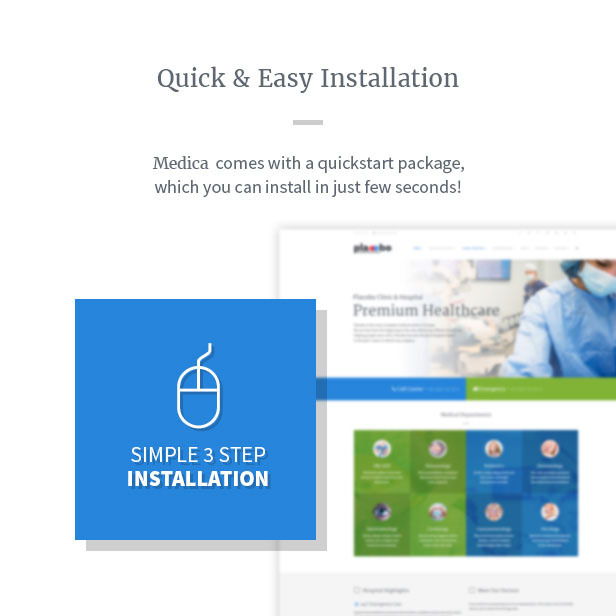 The package contains quickstart installation which will help you to get your site up and running in to time. 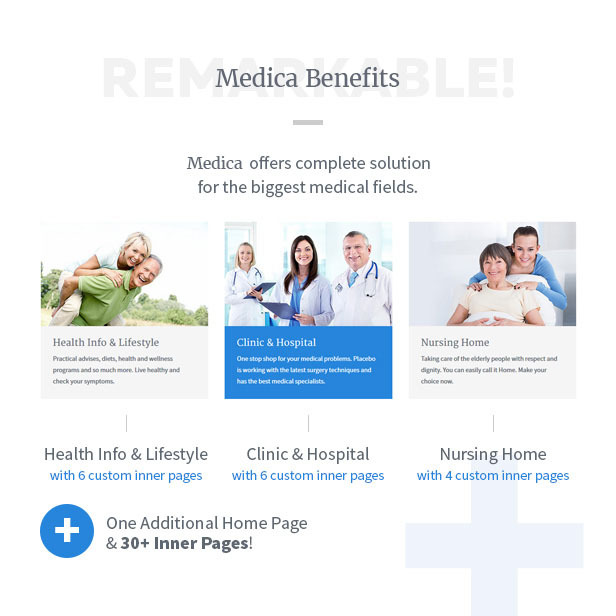 Medica’s key benefits are more than 20 unique pages and total of 50 pages with different features and solutions.